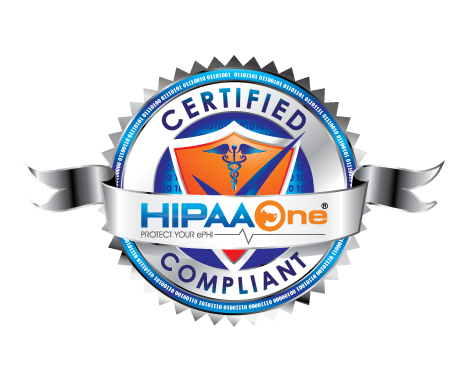 Modern Compliance Solutions (MCS), owner of HIPAA One®, is a company who works hard to exceed our clients’ expectations and treat their patient data as though it were our own. We strive to make every client reference-able, which is no easy feat. This means we are constantly improving our internally developed and industry-proven HIPAA One® solution. How to make it more secure, improve its ease-of-use while keeping it current with ever-changing regulations. Our specialties include Software-as-a-Service development for HIPAA One®, SOX, PCI, HIPAA: Security, Privacy, Breach Notification Risk Analysis. Additional specialties include: penetration testing, vulnerability assessment, application architecture review, Health IT system solutions and process integration. ever-changing healthcare risk management market. The members of our team have many years of experience in this industry and have realised numerous projects, both individually and as leaders of larger teams. Having identified the needs and requirements of an industry driven by innovation and cutting-edge technology, MCS was founded to address these needs and establish itself as one of the leading companies in this sector. Acts as a focus and resource for the organization’s privacy matters. Conducts HIPAA Privacy, Security Risk and Breach Notification Analysis using our trademarked HIPAA One® workflow solution. Works with those in all levels of group practices, Hospitals, Covered Entities and Business Associates. Takes direction from the Chief Operating Officer (COO) and works closely with our clients’ to educate, evaluate, assess, remediate the HIPAA/HITECH security, privacy and breach notification requirements. Investigates and recommends secure solutions that implement information security policy and standards. Effectively communicates and coordinates onsite/remote client activities and will be required to travel up to 50% of the time. Will be required to maintain a relevant security certification e.g. CISA, RHIT, CHPS, CISSP, or CHC. Oversees implements and monitors the security requirements levied by Federal and State Rules and Regulations. Designs, conceptualizes, plans and deploys hands-on technical deployments of security-related Health IT configurations including but not limited to Active Directory, Routing, Switching, Firewalls, IPS/IDS, DLP, malware management, virtualization, consolidation and switching. A Bachelor’s Degree or equivalent certification is required. Professional certification such as: CISA, RHIT, CHPS, CISSP, or CHC. Education and experience relative to the size and scope of the organization. At least 3 years of compliance experience with a focus on healthcare laws, including HIPAA, HITECH, anti-kick-back statutes and false claims act laws. Some in-house experience in health care, with experience in the creation, implementation, and management of compliance programs, advising senior and business unit management regarding compliance matters and industry regulations. Excellent organizational, written and communication skills in order to enhance and manage our compliance and risk-management programs. Must be analytical and detailed oriented. Must be a motivated self-starter with the ability to work independently on multiple projects simultaneously. To apply, send your resume to careers@hipaaone.com including brief introduction. We are seeking those who are looking forward to working in fast-pasted, dynamic team environment with up to 50% travel involved.